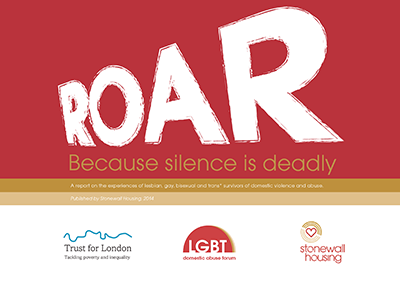 This research report examines the experiences of LGBT+ survivors of domestic violence and abuse. The research, evidence and testimony we obtained was used to shape our annual conference, with survivors’ voices framing presentations, workshops, and discussions throughout the day. We hoped the recommendations flowing from both the research and conference would incite service providers, funding organisations, commissioners of services and decision makers within government to provide better services to LGBT+ survivors.